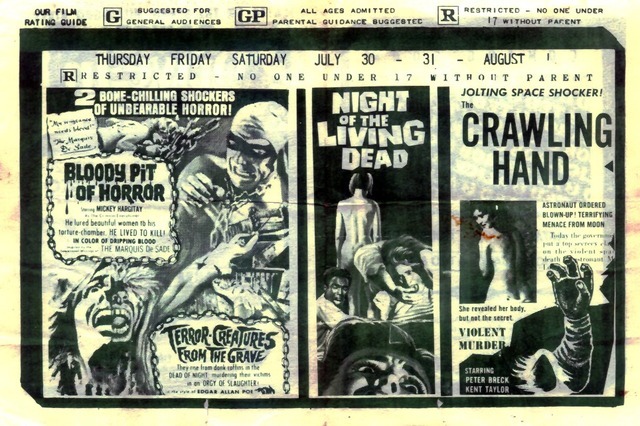 So this isn't a real article, just some miscellany connected to something I've been a bit obsessed with lately. 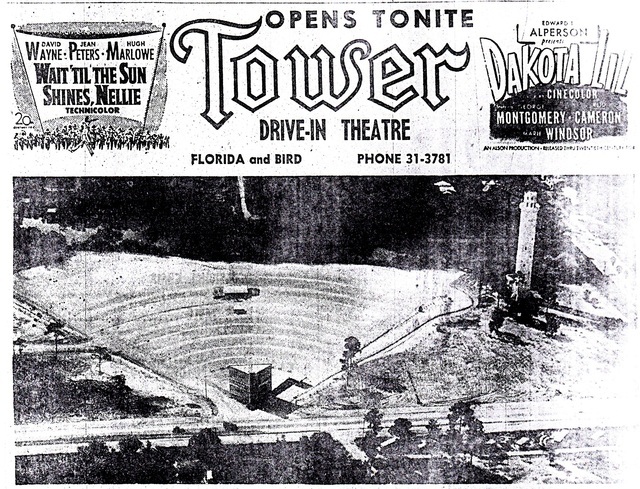 The piece of land in the shadow of the Sulphur Springs Tower was once a single-screen 300-car Drive-In Theater. 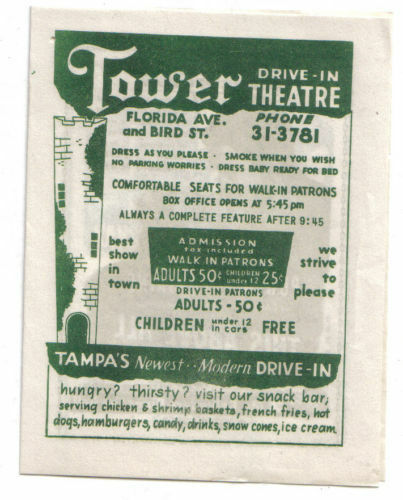 I dug up some of the original ads and a photo of the entrance, but I would love to know more about it. 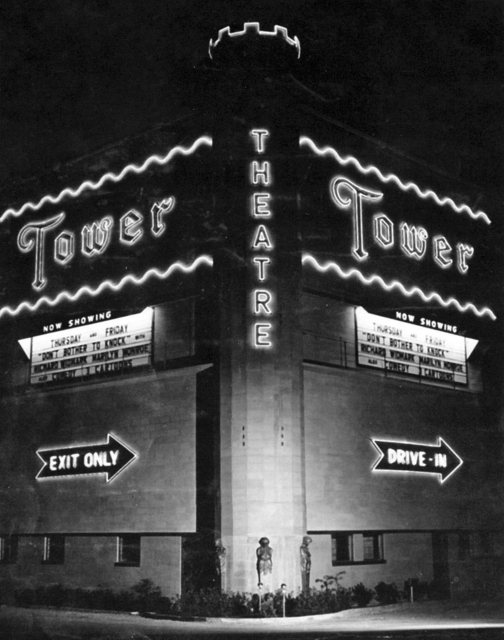 According to ads, it opened in 1952, and a blog on Drive-Ins said it was dismantled in 1985. 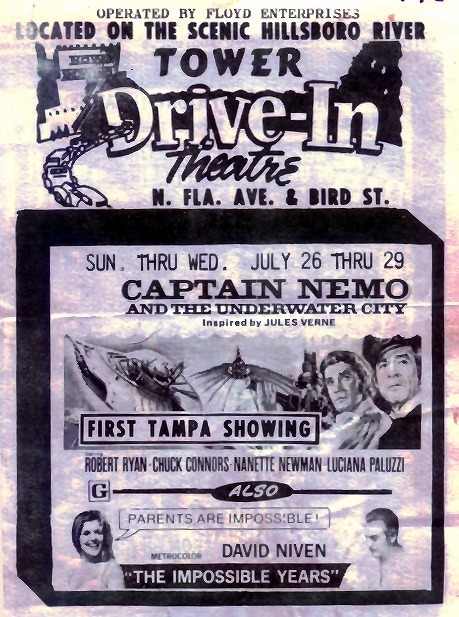 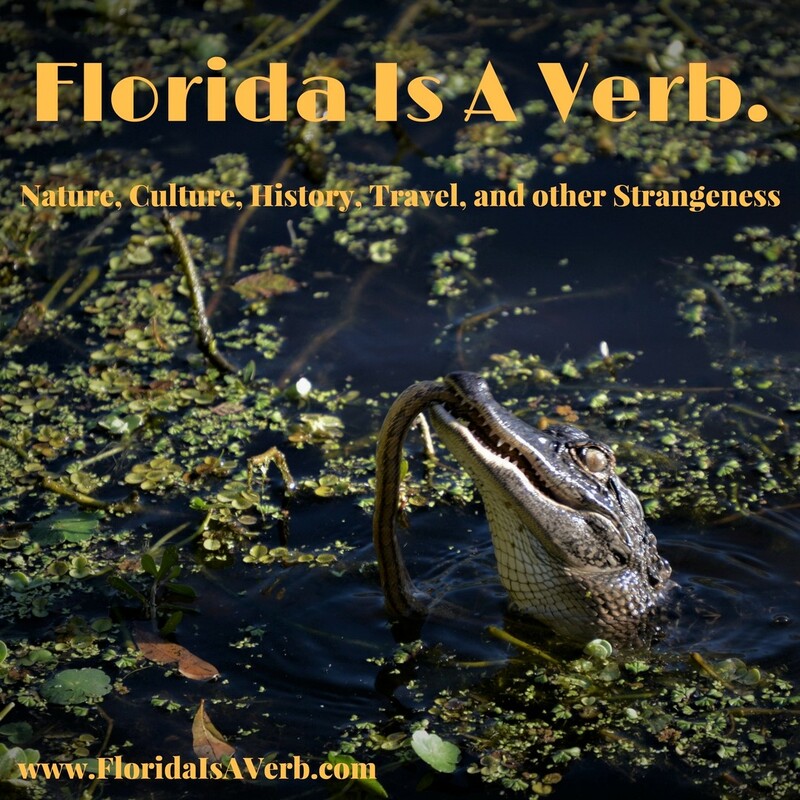 I'm working on a full article about Florida's lost historic movies theaters, but I thought this would be fun to share first.